I’m back since a long time, I’m on a project that I will tell you about when it is time that has taken some time from me and even FFXIV, but here I am slowly going back to gaming again and today I present to you the point of view of the Sword wielder in the Dark Beyond’s Raid Crota’s End Hard Mode using a Blade Dancer. 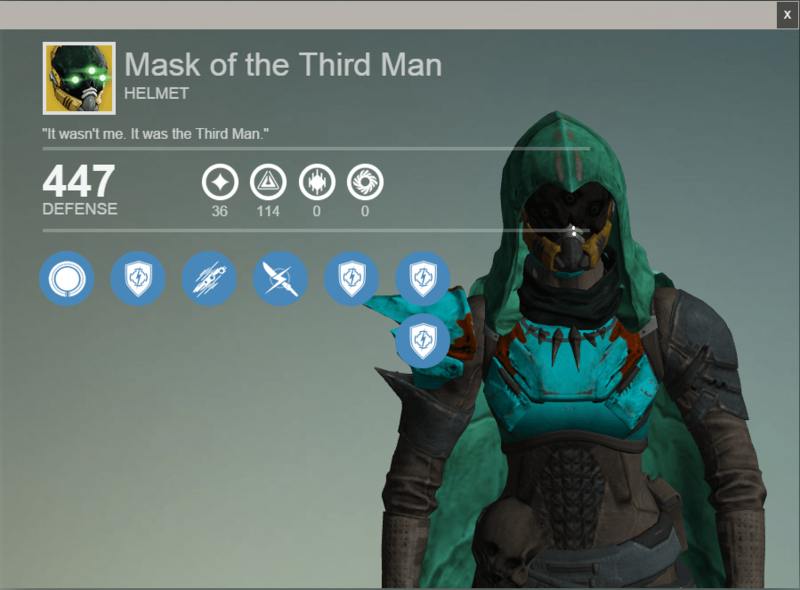 Being Level 32, duh! 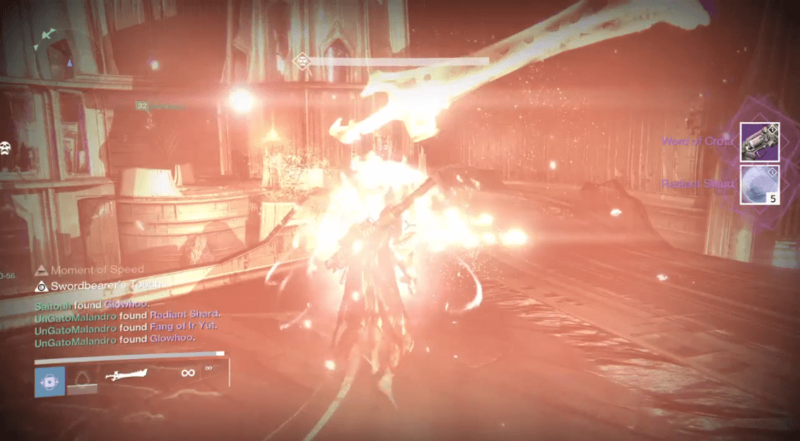 you need to be able to deal the most amount of damage possible to Crota. 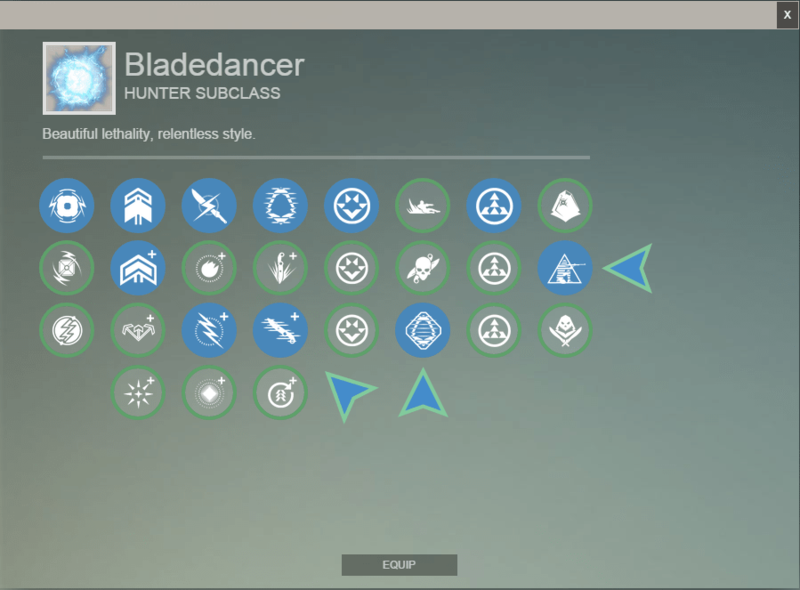 Bladedancer Subclass fully leveled, duh again!jeje you must have 3 specific perks activated for the strategy to work. Stalker, to gain Invisibility after crouching. Escape Artist, to gain Invisibility after hitting an enemy with Blink Attack. Shadowjack to increase the duration of the invisibility effects of Blink Attack and Stalker. 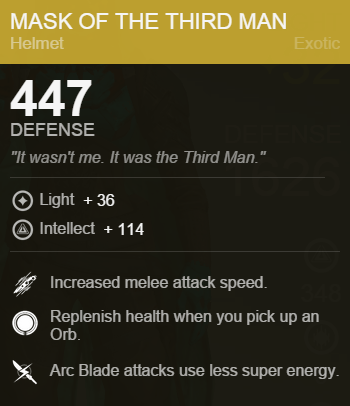 Mask of the Third Man, all it’s three perks will do you good, it extends Arc Blade Duration, makes you faster with your Melee Attacks and the most important thing your life replenishes when you pick up an Orb. Good 331 Attack and fully leveled Rocket Launcher and Sniper, my choice since I don’t have Gjallarjorn was Hunger of Crota for the Rocket Launcher and Black Hammer, though I recently prefer a fully leveled Efrideet’s Spear I have with Field Scout for a Sniper with a good impact and 6 bullets, for the main Weapon something powerful on impact like a Handgun or Scout Rifle would be best, since again I don’t have Gjallarhorn jeje my choice was MIDA Multi Tool for the extra Agility and Movement Speed. Heavy Weapon Synthesis, not as important as for the rest of the team, but you need to help with Ogres with 2 Rockets and if things doesn’t go perfect you might need to down the Swordbearer with a couple of Rockets on Swords 2 and/or 3. The strategy goes like this and I’ll put it on segments, Crystal Activation, Sword 1, Sword 2, Ogres and Sword 3. Your role here is very simple and basically not to get killed, make sure you are inside the Titan Sphere to get the Blessing of Light Effect and only then go out to throw grenades and shoot down the Acolytes first then the Knights, have in mind you will be killing the Acolytes but only hurting the Knights until the point they can be killed by a Super from anyone including yours if there’s no Warlock with Super, make sure to use the Super if you need to replenish health with the orbs that your team mates should have generated. Exit from the left, it’s important you all get out together at the same time, including the only one player that will exit from the right to do the distracting duty on the Boomer Knights, you can Sprint to the column you see on the video or just do a small jump. Make sure to help a bit with the Swordbearer with a Sniper and Grenades and use your Main Weapon if it’s near death, after it dies grab the Sword and run to the rock on the right that will protect you from the Thralls, Hallowed Cursed Thralls and hopefully Crota if your team mates are doing a good job distracting with Main Weapon fire, Crouch, gain invisibility and after you’re invisible jump onto the platform to Crota, as you do that let your team know to fire Rockets and then Main Weapon fire, whatch Crota’s Shield Bar when it’s depleted that’s your cue to start hitting even if the kneeling animation hasn’t started, land 3 or 4 hits, dump the Sword while moving to Crota’s back and hit him with Blink, you’ll gain invisibility, move away a little then go in to garb the Sword again, by then Rockets should be on the way to hit 3 times again then escape. 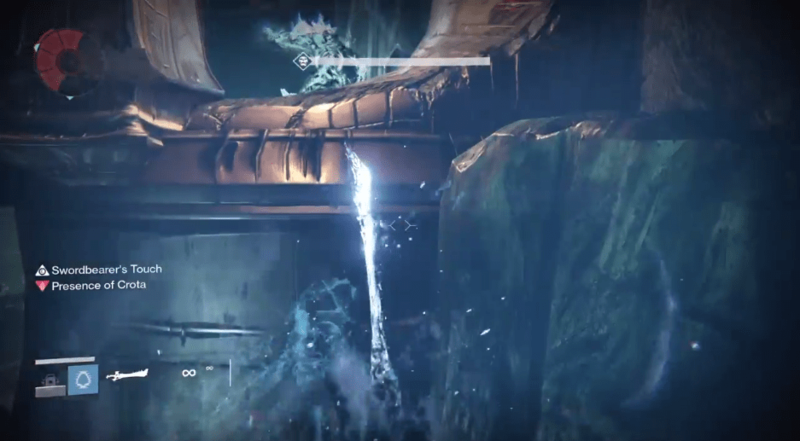 Remember to use the middle to left path to use the platform as a shield in case one Boomer Knight decides to shoot at you and jump constantly to avoid Crota’s fire aswell and return to the left exit of the Crystal Room. Basically rinse and repeat from Sword 1 but this time it might be needed fro you to help more with the Swordbearer so beware if you need to land a rocket on it, you might also want to land only 3 hits on each round to Crota, if you get greedy and hit it for more you might end up screwing the Enrage timing and not being able to down it before the Oversoul kicks in after Enrage, also after the second round of hits you’ll exit to the right room below to help with the Ogres. 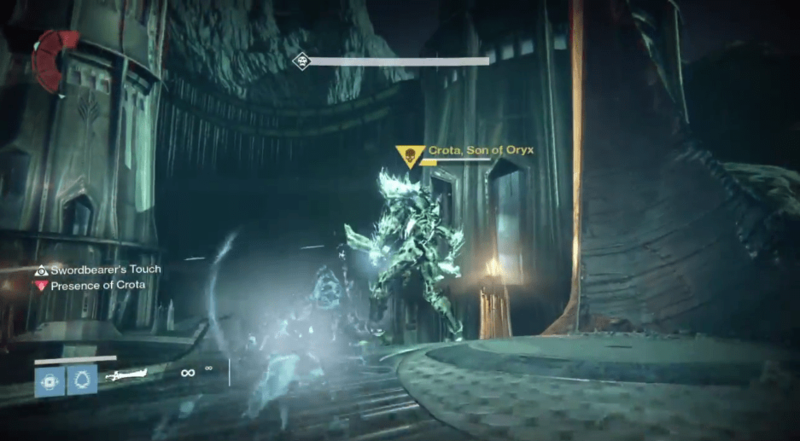 After escaping from Crota run to the right room to wait for the Ogres to spawn, it’s very simple what you need to do, just jump on top of one of the big doors frame in the room and shoot 2 Rockets to the Ogre the second it spawns, be carefully with the chains that hang from the ceiling, if your rockets hit them you’ll die or end up hurt, sometimes if you have only one rocket grenades and Snipers will help get the job done. Wait for Crota to move from the left to the center again, and it might be your job to let everyone else when that happen if no one is on call duty, after Crota moves you go to the middle running directly from below without using the platforms, that way you’ll lure the Swordbearer out in the open and to the center for the rest to destroy it, remember you’re headed to the Gatekeeper’s ground so beware and jump a lot. Kill the Swordbearer as fast as you all can, once it’s dead grab the sword and go do the same as before with Swords 1 and 2, don’t get greedy on the first round 3 hits will be more than enough to get it on Enrage and just 1 or 2 hits away from dying, wait for the rockets and land your last 2 or 3 hits and enjoy the loot =). When I make a video of the Boomer Knight Distracting and Rocket Launcher roles, I’ll get onto the details of those roles. Happy Crota Slaying!!! 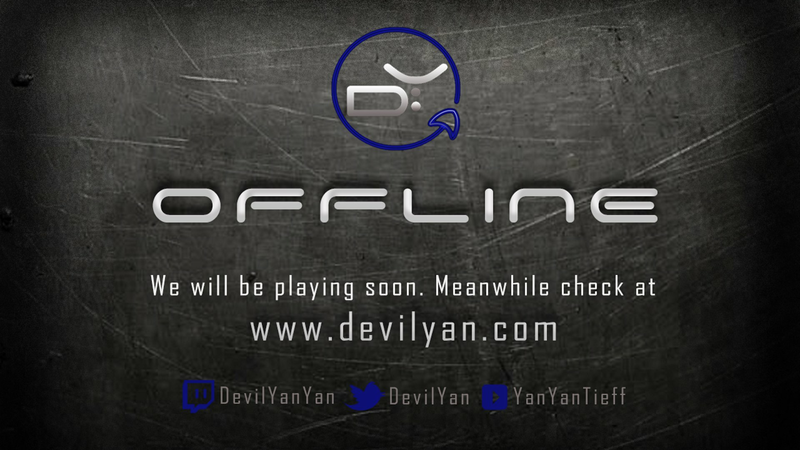 see you around Guardians! Written by: YanYan on February 5, 2015.